As your sign lord the Venus is entering good place, you will get expected benefits. Unity, love and happiness between husband and wife will increase. As the Mars is in 6th place, you will get benefits through house, property and vehicle. As the Saturn is in 8th place, you will face obstacles in any taken tasks. Care and attention is needed. Take care of your health. To get success in any taken tasks you need to face many problems. There will be a delay in marriage, childbirth, etc. Your business will be in recession. Working people need to work hard with responsibility. Sometimes your workload may increase. Attention and care are needed in any taken tasks. As the Raghu is in 3rd place, and the Kethu is in 9th place, travel, hard work, foreign contact, agreements will be good and beneficial. As the Jupiter is in 6thplace, you will get financial benefits. There will be decrease in happiness and peace. There will be delay in getting childbirth. Unemployed will get normal employment. You will get success in court cases on ancestor assets. As the Jupiter enters 7th place on 11/10/2018, marriage talks will bring happiness to women. You will get rid of the delay in marriage, childbirth, etc and you will get benefits like marriage, childbirth, etc. This year transit of the Jupiter will increase your benefits and happiness when compared with the last year. By the end of the year women will be happier. Student’s education will be normal. If you concentrate on your studies you may get chance to join good college. As the Saturn is in 8th place and the Jupiter is in 7th place, you will get benefits only by getting the blessings of god. Put yourself in devotion. In general this year of 2018 will be less beneficial. End of the year will give you benefits. Worship lord Muruga. 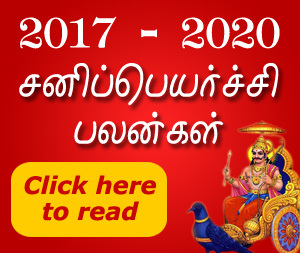 At least once visit Thirunallaru and worship the Saturn to get benefits.